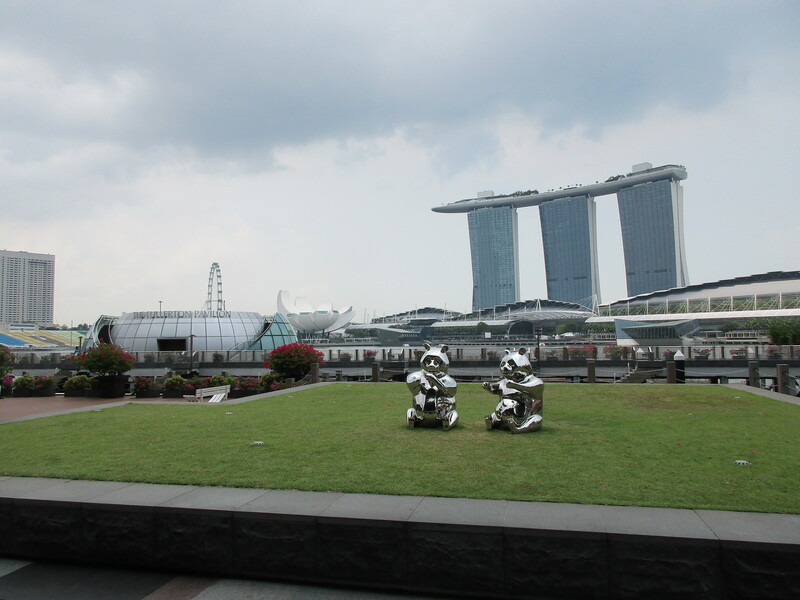 I learned about Singapore on my recent trip. 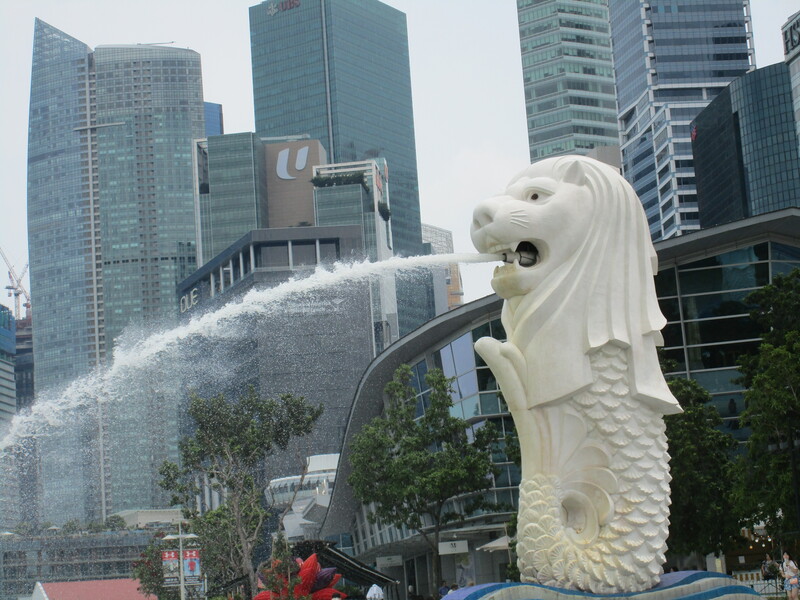 The city’s mascot is a mer-lion. I think I would have learned this if I did a little more research before I went, but regardless, I think it’s a fantastic mascot! How do you get more majestic then a lion and mermaid combined? The country turned fifty years old last year. We missed out on the year long celebration. Here’s to fifty more! The metro system or MRT seems to be what American metros are trying to be. The trains are clean. We were never stopped or delayed at any point which is shocking compared to the DC metro. There was an overwhelming amount of signage about rules of behavior which are actually enforced by platform attendants rather than ignored (give up your seat, take off your backpack, no eating or drinking, etc.). 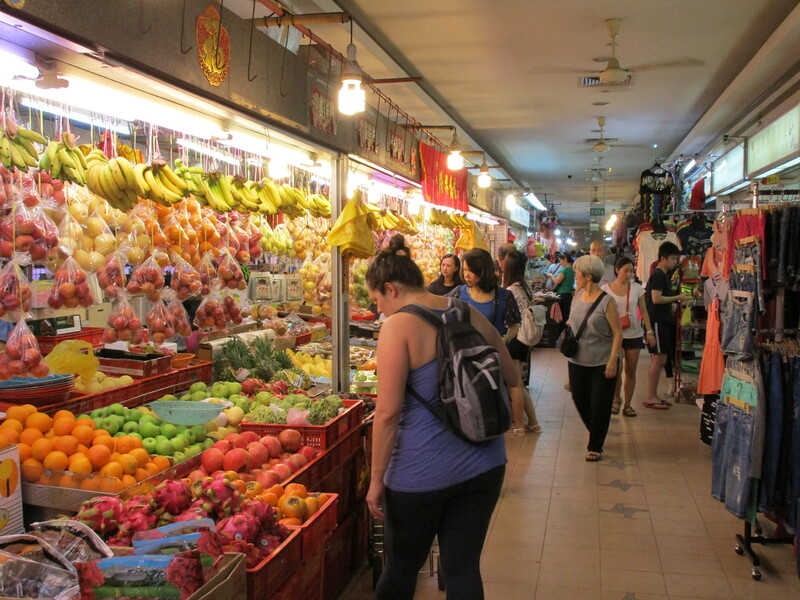 Hawker centers are a very popular place to grab a bite for any meal, any day. 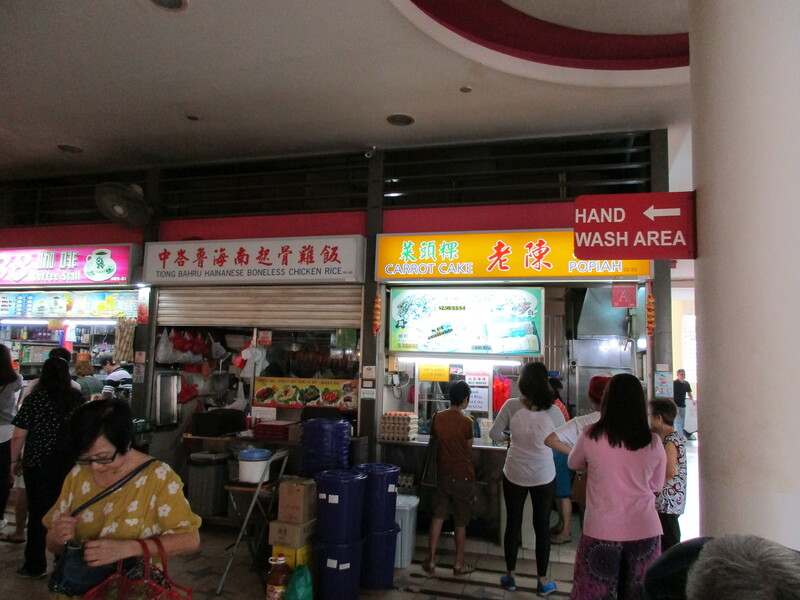 They are basically large foot courts of small food stands (and sometimes markets) that are government regulated to ensure cleanliness. You can find any standard dish from any Asian country (each stand basically specializes in a few dishes), and you don’t even have to bus your own table. The couple times we ate there my meal was less than four USD for a large plate of food. Carrot cake is neither carrot nor cake. The dish seems to be diced radish sautéed with a few other vegetables (no carrot) in a brown sauce. Not bad, but absolutely nothing like carrot cake in the US which is a cake that has carrots. Woooooo, so excited you came to visit and experienced Singapore! That’s because radish in Mandarin literally means ‘green carrot’. And you can get fried carrot cake in a white or black variety. The white one’s like a crispy omelette whereas the black is fried with sweet soy sauce for the little kids mostly.